high-tech interior, customizable style and impressive electric performance. NOT TOO BIG. NOT TOO SMALL. Efficiency is in our DNA. That’s why no space is wasted, and the interior is surprisingly spacious. Plus, the Tridion Safety Cell is reinforced with high-strength steel to protect what matters most. 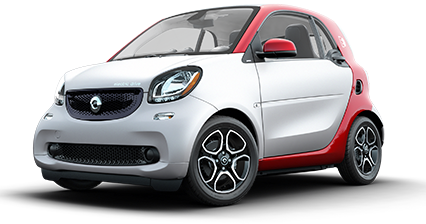 or a brand new 2018 smart electric drive coupe for just $139/month. To commemorate the ten-year anniversary of the original smart fortwo, we created the exclusive Edition TEN. With a unique sapphire paint color, 16″ BRABUS wheels and special 10th anniversary badging, the Edition TEN is an ode to the OG, and a tribute to our drivers and fans who have been by our side. Let the journey continue for decades to come. Pure electric energy. Pure driving enjoyment. 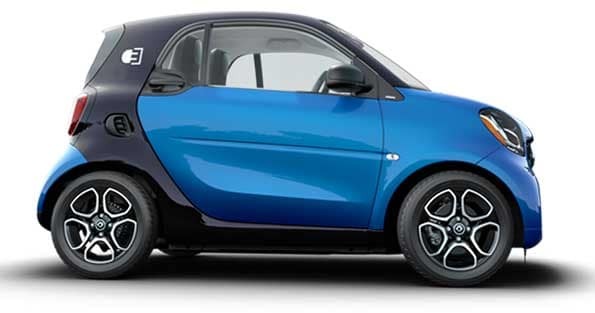 The smart electric drive pure features the iconic smart body style, with a wide, athletic stance that provides ample space inside and excellent on-road performance. The two-tone color palette and LED daytime running lights are the icing on the cake. Style and comfort for the electric crowd. 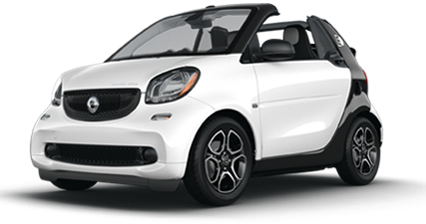 With the smart fortwo electric drive passion coupe, no detail is too small. It features the same unique body style of the pure, but with additional touches inside and out for a more comfortable ride and a more customizable look. One thing is for sure, it puts our passion for driving on full display. 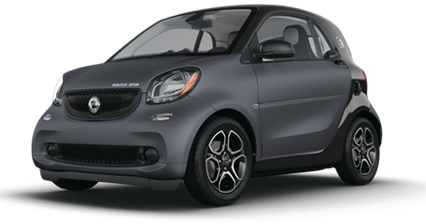 The smart fortwo electric drive prime coupe is unlike any other electric car. Stylish and chic, it features unique amenities like the smart Lighting Package, black leather seats, and 15-inch wheels, all of which combine to make it the premier electric car on the road. 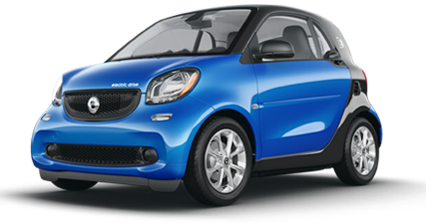 With the smart fortwo electric drive passion cabrio, no detail is too small. 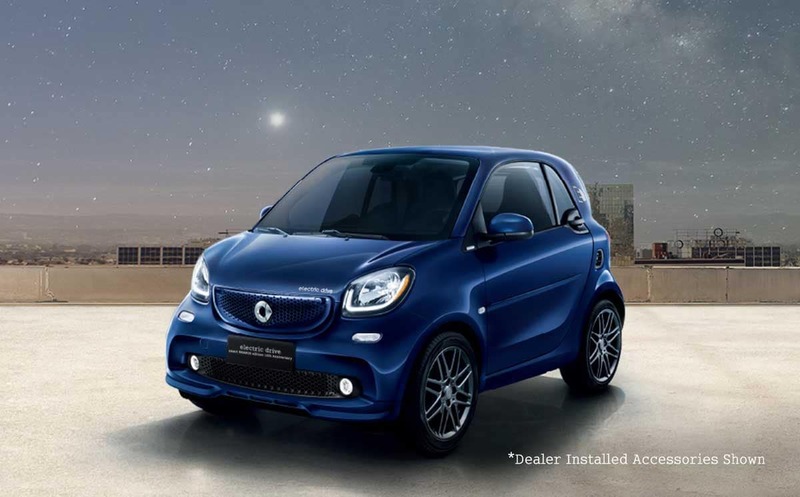 It features smart’s signature body style, but with additional touches inside and out for a more comfortable ride and a more customizable look. One thing is for sure, it puts our passion for driving on full display. 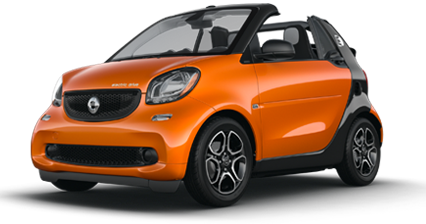 The smart fortwo electric drive prime cabrio is unlike any other electric car. Stylish and chic, it features unique amenities like the smart Lighting Package, black leather seats, and 15-inch wheels, all of which combine to make it the premier electric car on the road. Available only to qualified customers through Mercedes-Benz Financial Services at participating dealers through May 31, 2018. Not everyone will qualify. Advertised 36 months lease payment based on MSRP of $24,550 less the suggested dealer contribution resulting in a total gross capitalized cost of $24,312. Dealer contribution may vary and could affect your actual lease payment. Includes Destination Charge. Excludes title, taxes, registration, license fees, insurance, dealer prep and additional options. Total monthly payments equal $4,644. Cash due at signing includes $999 capitalized cost reduction, $295 acquisition fee and first month’s lease payment of $129. No security deposit required. Total payments equal $5,938. At lease end, lessee pays for any amounts due under the lease, any official fees and taxes related to the scheduled termination, excess wear and use plus $0.25/mile over 22,500 miles, and $395 vehicle turn-in fee. Purchase option at lease end for $11,784 plus taxes (and any other fees and charges due under the applicable lease agreement) in example shown. Subject to credit approval. Specific vehicles are subject to availability and may have to be ordered. See participating dealer for details. $139/mo. For 36 months lease Available only to qualified customers through Mercedes-Benz Financial Services at participating dealers through May 31, 2018. Not everyone will qualify. Advertised 36 months lease payment based on MSRP of $24,650 less the suggested dealer contribution resulting in a total gross capitalized cost of $24,411. Dealer contribution may vary and could affect your actual lease payment. Includes Destination Charge. Excludes title, taxes, registration, license fees, insurance, dealer prep and additional options. Total monthly payments equal $5,004. Cash due at signing includes $999 capitalized cost reduction, $295 acquisition fee and first month’s lease payment of $139. No security deposit required. Total payments equal $6,298. At lease end, lessee pays for any amounts due under the lease, any official fees and taxes related to the scheduled termination, excess wear and use plus $0.25/mile over 22,500 miles, and $395 vehicle turn-in fee. Purchase option at lease end for $12,079 plus taxes (and any other fees and charges due under the applicable lease agreement) in example shown. Subject to credit approval. Specific vehicles are subject to availability and may have to be ordered. See participating dealer for details.